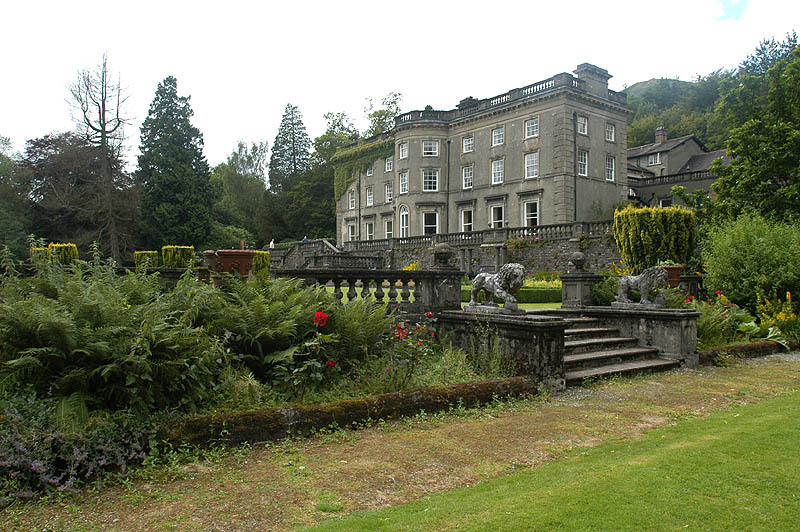 Built in the 16th Century, Rydal Hall was the home of the le Fleming family. The house has subsequently been much altered, including the addition of the Victorian south range shown below. 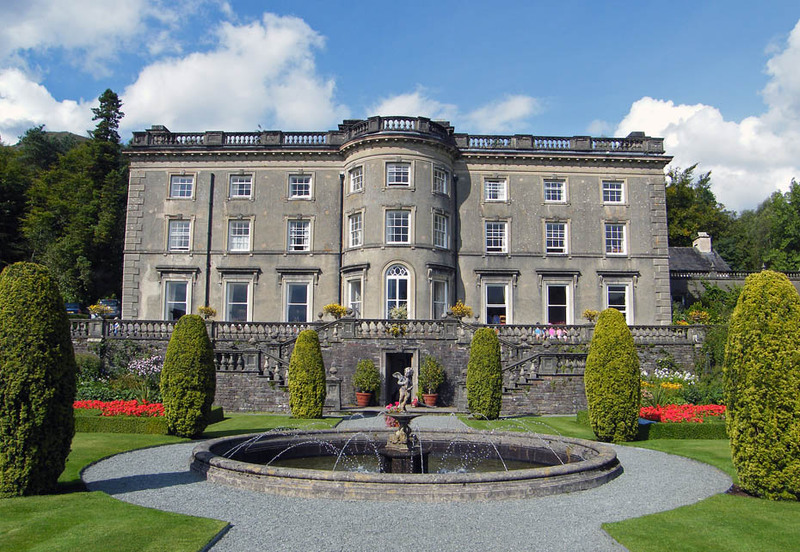 In 1963 Rydal Hall became a conference centre and retreat owned by the Diocese of Carlisle. There is a formal garden with geometric beds, set against natural rolling woodland. On both sides of the garden are arbours created by concrete columns supporting wooden lintels which support climbing roses. 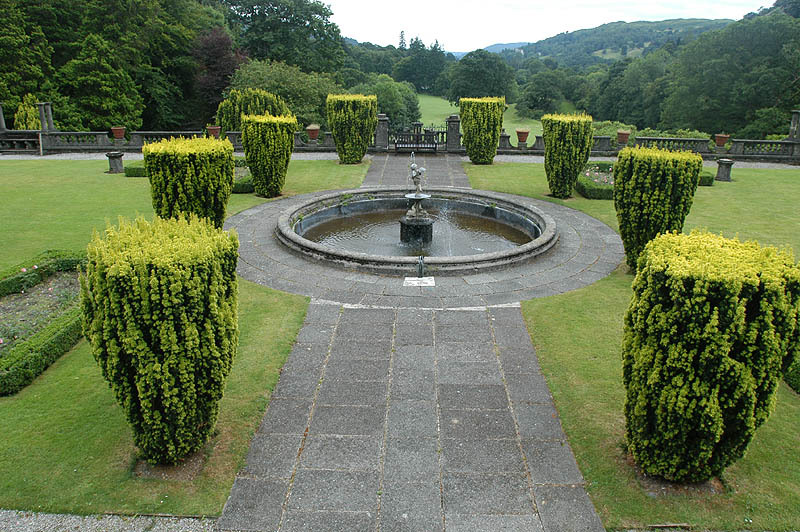 The formal garden at Rydal Hall was designed in 1909 by Mr Thomas Mawson (1861-1933), and is a splendid example of the work of the leading garden designer of the day, whose work is of national and international renown. The garden is of particular historic interest for the extensive use of exposed aggregate precast concrete, instead of more usual stone, to form the main elements in the design – a very early use of concrete in this way. 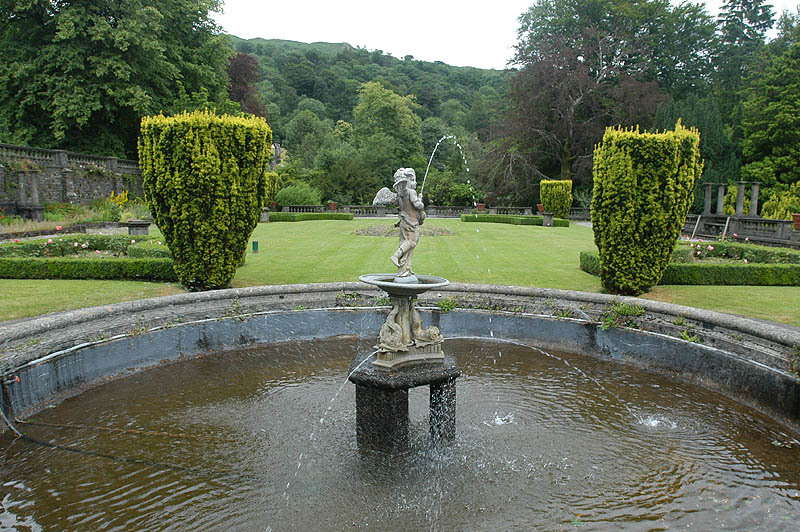 The Carlisle Diocese in association with The Cumbria Gardens Trust and in consultation with English Heritage are restoring this lovely formal garden. From the formal garden the sound of rushing water can be heard. 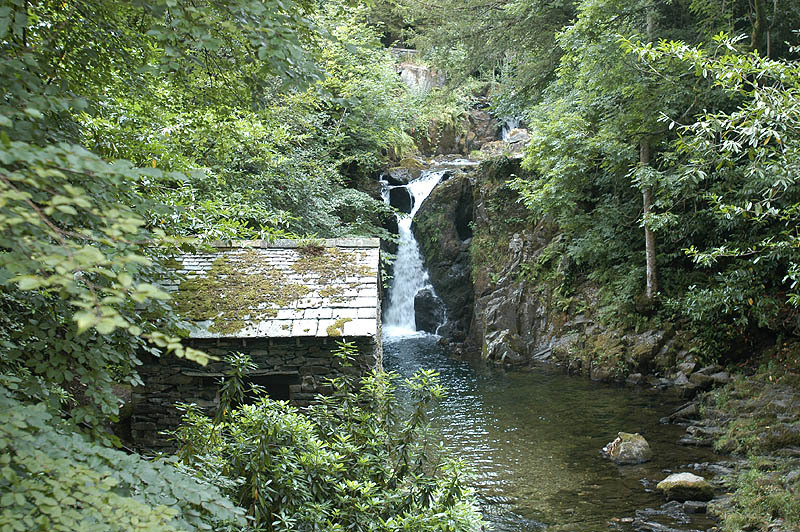 Water crashes over a series of high waterfalls down a rocky ravine, through the rocky banks of a wooded garden. The oldest ‘viewing house’ in the country (1669), the Grott, is sited below the lower fall and is open to the public from 8 am to 4 pm.. 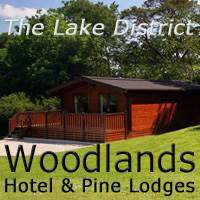 There are mosses, native flora and trees, including a Sweet Chestnut, some 500 years old and with a girth of 36 feet. The gardens are still being restored, but it is an interesting garden, especially the contrast between formal garden and rocky ravine. 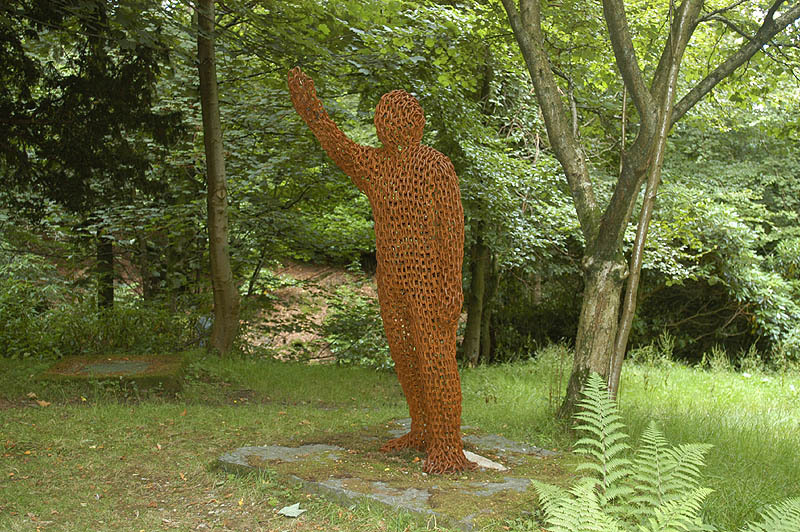 There is a sculpture path throughout the grounds which is free and open every day (see link below). Garden always open. Free admission. 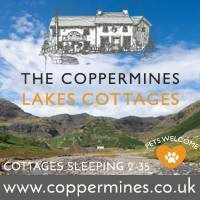 Donations welcome. 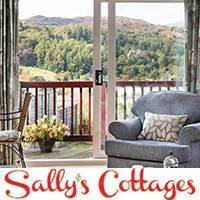 Holiday accommodation is available at Rydal Hall and in the form of privately owned Shepherd’s Huts in an idyllic location on the edge of Rydal Hall’s grounds. 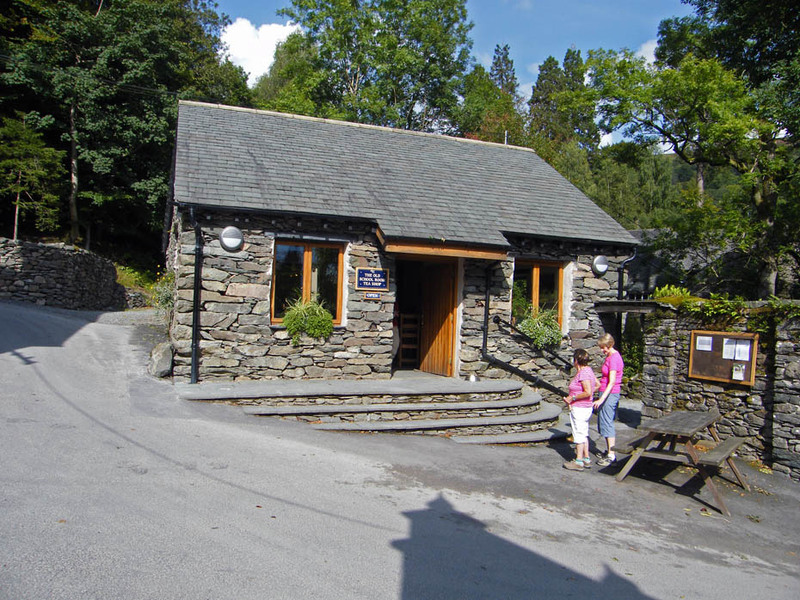 The nearby chapel of St Mary was built by Lady le Fleming, on a site below Rydal Mount, which she owned and rented to William Wordsworth between 1813 and 1850.